Best Car Wash award since 1993! 2/21/17 Anastasia, Facebook Comment I had my car washed at Ernie's for the first time. I loved the way my car looks and the service was great. 2/20/17 Kathleen, Facebook Comment Love Ernie's, wouldn't go anywhere else with my car ! 2/2/17 Rebecca, Worcester I never take my car to be washed anywhere else but to Ernie's! Your staff are the best, and I love the convenience and thoroughness of the wash I get there. 1/29/17 Ellinor, Facebook Comment Always a great job! 1/25/17 Paulette, Leicester I love going to your car wash. I usually go to the one in Spencer, the people that work there are very friendly. 12/13/16 Paul, Worcester Best car wash around. 12/9/16 David, Auburn Visited the Millbury St location 12/9/16 around 1:00 pm and the gentleman who was working was very pleasant and polite, I know you probably usually get complaints, I thought you should also hear the positive. 8/5/16 Pankaj, Worcester I love the car wash, both automatic and manual. Servicemen are real nice there and they keep the place neat and clean. Also, the vacuum cleaners are also properly maintained. 7/26/16 Jimmy, Rutland Been going to Ernie's since he opened up his first place on Millbury St. In the early 80's! Only car wash I'll go through! 6/30/16 Stephen, Charlton Been a customer for over 30 years. No other car wash has ever been able to compare! 6/26/16 Kathy, Barre Luv Ernies! 6/8/16 Kevin, Holland Operators are always helpful and friendly. Holden Great employees at Grove St! Millbury Hello,You have a great car wash.Sometime I forget to ask for a receipt, and sometimes the attendants forget to give me my receipt. A suggestion I have for you is to make sure the attendants help us remember to collect our receipts, and that they automatically give receipts to each customer, so that we can get discounts on our washes :)Thank you for running a great business! N. Oxford Been a regular customer since u built your building in Auburn on Rt 12/20. Great service. Rutland Never had a bad experience at Ernie's! N. Brookfield Love Ernies only place I wash my car. Millbury You have a good car wash! Holden love your car wash - best around!! Comment Been a customer since 1986, two car family...the best!! E. Brookfield The staff at the Spencer location are wonderful. I never feel rushed. Thank you. Oxford You have kept my vehicle clean for years in Spencer Ma and Auburn.Ma. Employees Rock! Paxton You're the best! - and my only "go-to" car wash. I like the fact that you have multiple venues in the area. Comment I knew Ernie who was a fine gentleman who passed away very young. his business survives because of quality results. Worcester I love Ernies, only place i bring my new 2013 car. Worcester I just visited your Grove Street location in Worcester at 3:15 pm on Monday August 11th. Whichever crew is on right now is the absolute best car wash crew I've ever encountered. Hands down, the best. The attention to detail they showed on my recently acquired (and awesome) classic pickup was beyond compare. I wish I had more than $3 left because I would have tipped them $5 each. It came out of your wash looking better than the day I bought it. I'm impressed. These two guys just got you a permanent customer and you can be proud of them. Thanks and keep up the stellar work! Auburn always a great job ! Comment Great place went there today!!!!! Southbridge I really like that you have great hours during the winter!! I work overnights so it's nice to get out in the early morning and get my car washed! Spencer Only car wash we use. 5/13/14 Carolyn, Leicester Best carwash around! Charlton Love ERNIES CAR WASH!!! Barre By far the best auto wash I've ever been to. I am a devoted customer and will remain so. Review The price for the cheapest is $9 which I guess is not too bad if you don't have the time to wash it yourself. The wash is quick and the guys press washing the vehicle are always thorough in their job. If you have a dirty car Ernie's is the place for you! Charlton Only car wash I use! Comment I have been going to Ernie's car wash since the first one opened on Grove st in Worcester. I wonder how many times I have been through the car wash in last 40 plus years. Today, I visited your Auburn location. I recently moved to the area and also recently purchased a new vehicle. As we all know, keeping a new vehicle looking new is one of the most difficult parts of ownership. Your team in Auburn was friendly, pretreated my salt covered new paint, and the wash was excellent. I will certainly be back again! Thanks for a great wash! Comment Thanks for being a great addition to our town. Not to mention how convenient it is for me. Comment Seriously!!! Is this a Beautiful Wash & Wax, for $18.00? Cheap Price, Quality Wash Love Ernie's!!!! 3/6/14 Steve, Millbury Great Car Wash !!!! Employees always Helpful! 3/3/14 Paulette, Leicester I love Ernie's Auto Wash. They do a great job. 2/19/14 Peg, Rochdale Best wash around!! Comment I have been a customer of Ernie's when. They opened their very first car wash on grove street over 40 years ago. I probably could buy a car wit the money I spent, but that is the best car wash around. 1/13/14 Michelle, Facebook I have to express thanks to two of your wonderful employees in Auburn, my daughters car was egged last month which froze the her car overnight. I went with her to have it washed and the two gentlemen working that day took extreme time and care to remove the egg from the paint. Thank for such wonderful service! 1/7/14 Amy, Worcester My favorite car wash!! 1/5/14 Carlos, Worcester Really Like this Car Wash. Nothing touches my car. 11/28/14 Ricardo, Facebook Grove st. Is a weekly stop for me the kids there do the best job. TY!! Worcester I love Ernie's! Best wash I've ever had, it's like new! 7/22/13 Rick, Facebook They always go the extra mile. 7/22/13 Shaun, Facebook Always have a good service in Spencer...good crew workin there! 7/22/13 Carmine, Facebook Simply put "the best"
7/22/13 Matt, Facebook I don't know what I like more- having a clean car, or becoming a total KID when going through the wash tunnel! 7/22/13 Lynn, Facebook My car always looks great...and once I had a spot of bird poop that was still there after the initial wash...when I pointed it out...they rewashed! I love Ernie's! 7/22/13 Lori, Facebook Great clean car and staff is great. 7/22/13 Karl, Facebook Car wash and employee's are great ! 7/22/13 Tyler, Facebook xcellent Wash Ridiculously Cheap Nice Employees Incredible System Extremely Clean and Shiny Spontaneous SO TO SUM IT ALL UP- ERNIE'S IS THE BEST PLACE FOR A CAR WASH!!!!!!!!!!!!!!!!!!!!!!!!!!!!!!!!!!!!! Holden To some their car is their life. Like a child you always want to protect it and always want the very best! That is Ernie's Car wash, Protection and quality, without the worries! 7/14/13 Jason I visited your Milbury St location Sunday morning around 8am on 7/14. I am not from the area and was just looking for a car wash in the area to just quickly clean off my car. This location looked to be one like those in NY where you pull in and they just rinse off the vehicle before you go through the wash. This could not have been farther from the truth. The attendant was pleasant with his greeting and his follow up questions. He took the time to clean each wheel with great detail. This young man took his job and his responsibilities to the height of what I am sure your company demands. He treated my vehicle as if I was washing it myself. My complete appreciation and satisfaction with your company. The young man working this Sunday morning is a great representative of your company as well! Thank you. 5/20/13 Lisa, Facebook It is close by and now I have talked my Mom into going to Ernie's in West Boylston now that she has moved there. 5/20/13 Patricia, Facebook The best carwash, Rain-X Works. Going to Ernies since they opened! 5/20/13 Richard, Facebook Ernies is the only place I go to for my final hartop wash of the season. 5/20/13 Kat, Facebook best job around here! 5/20/13 Eric, Facebook Best quality wash that I have used over the years. 5/20/13 Dean, Facebook Always get a good wash there - and it is quick and reasonable. 5/20/13 Linda, Facebook Workers at Ernies are always super nice and I like that the undercarriage is washed - which is a very important part of the car. 5/20/13 Carol, Facebook it doesn't scratch my car! 5/20/13 Angela, Facebook I like Ernie's because you have workers that give attention to my rims and white wall lettering on my tires. Automatic car washes with no employees don't do that. 5/20/13 Sarah, Facebook No slappers, touch free! And the guys are so cool too, they give your wheels a good scrub before they send you through. Wash yourself bays have a lot of convenience too, you can control the whole wash, wax, and take the time to dry thoroughly. Plus they let you go again if you don't come clean (which doesn't really happen anyway). No goofy tokens! 5/20/13 Shaun, Facebook Pleasant staff and squeeky clean wash! 5/20/13 Meghan, Facebook Ernies is better than the machine operated carwashes! 5/20/13 Tina, Facebook It's the best carwash around. We have been going there everyweek since it opened. It does a great job on the cars and they offer a wide variety of washing types to fit peoples budgets. Love it. 5/19/13 Fouad, Shrewsbury I come and get a Super Wash every week during the summer at your Boylston location to keep my car clean. You guys have the best car wash and the best employees working there! 4/27/13 Ross, Worcester Been bringing my 2003 Mitsubishi Eclipse Spyder Convertible to Ernies for 10 years. Car still looks new!! 4/7/13 Joe, Webster Great wash every time. 4/3/14 Robert C., Worcester The price for the cheapest is $9 which I guess is not too bad if you don't have the time to wash it yourself. The wash is quick and the guys press washing the vehicle are always thorough in their job. If you have a dirty car Ernie's is the place for you! 3/25/13 Richard, Worcester Love the high bays. I drive a bucket truck and is nice to have a place to clean it. 3/11/13 Jennifer, Charlton Best car wash around. N. Brookfield I enjoy washing my truck myself but when I have it done, ERNIE'S is the ONLY car wash I trust! My car looked great when finished. I like my wheels shining so I upgraded to wash with wheel shine. The price seemed high to me at $15 but it did come out great. The guys working were nice. I then vacuumed my car. $1.50 per use. I needed $3.00 to finish the job. 2/7/13 JoAnne, Worcester I love Ernies touchless, so good for my babies...no scratches and no missing parts! Thanks for the coupons! 1/22/13 Paul, Worcester Great car wash facilities! 1/18/13 David, Holden Thank you for being the best car wash !!!!! 1/8/13 Grace, Jefferson Great car washes! 1/7/13 Steve, Millbury Great Car Wash!! 1/5/13 Fred, Worcester Bought wife new car. Only let ernie wash it. She drives by 2 car washes to get there but i know there wont be any scratches and it will be clean. Its worth the extra distance to go there. 1/4/13 Lan, Spencer I have loved Ernie's as long as I've been driving. It's the only car wash I use! 12/22/12 Joanne, Holden Love Ernie's! Best place to get a car wash! 11/24/12 Clifford, Worcester The automatic wash is actually a pretty good hand-wash plus the automatic part. The folks working there today really put some extra effort into getting some tree droppings off my car. Great place. 11/14/12 Doris, Sterling I love Ernie's touchless car wash it does a great job every time. 10/20/12 Patricia, Worcester i been going there for yrs. 9/17/12 Sue, Oxford Great job cleaning car. West Boylston Great service at the West Boylston location. Guys working are always friendly. 7/12/12 Jane, Sturbridge I'm from Sturbridge and usually use the car washes in the general area. I just started working in Shrewsbury and I tried Ernie's Auto Wash going home on Southbridge St in Auburn. Well let me tell you!! I got home and my car looked like someone just waxed it!!! The young man working there was very personable and did a great job!! Ernie's forever!!! W. Boylston Love your car wash and i tell all my friends! W. Brookfield Keep up the great work! 4/7/12 Mark, Rutland Ernie's is the only place I go for my car washes. 4/4/12 Richard, Worcester Best wash is on Millbury Street! 4/4/12 Dean, Auburn Love Ernie's! Been going there for years! 4/4/12 Amanda, Oxford LOVE ERNIES! 3/23/12 Perry, Worcester Love your touchless wash. I have used it for years. 3/23/12 Paul, Worcester Great washes and good help. 3/21/12 Jared, Whitinsville You guys rock! Yelp Review Went there last week again. The employee there was good. He was polite, did everything right. Gave me some coupons too, quick and good service. N. Brookfield Love Ernies Car Wash! Even when I was living down on the cape, whenever I came home to visit with my family, I always made it a point to get a car wash. You guys are great! 2/11/12 Lynne, Sterling Ernie's is the ONLY car wash that I take my car through. 2/5/12 Kathy, Worcester I don't think there is any car wash around that does the job like Ernie's Car Wash.
2/4/12 Virginia, Charlton Excellent wash and nice workers. 2/3/12 Elaine, Spencer We had everything done at Ernie's car wash last week and our car looked sparkling new. It took no time at all and we were so happy. "Thanks Ernie's, your car wash is the best." 2/3/12 Doreen, Millbury I love Ernies car wash.
Rutland Keep up the great service. I only use Ernies to wash all my vehicles. Ernies is the best. North Oxford Went to Ernie's just the other day and now my car is squeaky clean! 1/11/12 Nisson, Worcester Keep up the good work , number 1 car wash.
1/11/12 Lisa, Shrewsbury I never take my car anywhere but Ernies for washing! 1/11/12 Edward, Worcester I love your car wash; it's the only one I will use! 1/11/12 Elizabeth, Worcester I love getting my car washed at Ernie's!! 1/11/12 Amanda, Worcester Looooove Ernie's!!!!! 1/11/12 Dennis, Worcester Love Ernies car wash, the pre wash is what makes it special. then the touchless wash.
1/11/12 Jenn, Upton ERNIE'S ROCKS! 1/8/12 Christina, Spencer Just moved up here from Florida! Not use to all this plowing, salt, and snow stuff! Been using your car wash almost on a weekly basis! Between the outside mess, I also have 3 kids that make a huge mess inside. 1/8/12 Dawn, Spencer Love Love Love Ernies in Spencer, and they are so pleasant like your family. Love getting my car washed, every week always a pleasant experience, they are great. 11/22/11 Brenda, Rochdale The best car wash in Auburn!! Yelp Review This place is awesome, open 24/7 and they take credit cards! Very well maintained. I'll drive all the way back to the city just to use this car wash. I love this place so much I have wrote to them suggesting they expand out of Worcester. 10/11/11 Andrea, Worcester best car wash i've ever been to! literally! 10/8/11 Dillon, Sturbridge Great service, decent pricing, but you really do get what you pay for! 10/7/11 Jason, Marlboro I just wanted to stress to you how much I LOVE your car wash, this has by far been the best place I have ever been to, and being an advid "car guy" thats saying alot. 9/19/11 Hayleigh, Oxford Best car wash around! North Brookfield Love the Spencer Ernie's Car Wash. The kids who work there are so nice. East Brookfield Love the Spencer store! 9/1/11 Patricia, Auburn love this car wash!!! Marlboro Just keep doing what you are doing, your truly the best! 8/31/11 Denise, Spencer Love Ernie's Car Wash they are the best !!!! Spencer Best car wash in the country! N. Brookfield You can always get a good car wash at Ernie's touchfree carwash. 8/31/11 Jennifer, Worcester Thanks for cleaning my car so I don't have to!! Holden It is awesome to have an Ernie's in West Boylston. 8/31/11 Matthew, Worcester You are the best car wash around!! 8/31/11 Amy, Worcester Ernie's is the only place I wash my car! I love the touch free aspect of it! 8/31/11 Joanne, Charlton Only car wash I use, love it! 8/19/11 Amy, Worcester Wouldn't wash my car anywhere but Ernies! Upton I love Ernie's, yes I do, I love Ernie's, how 'bout you?! 7/17/11 John, Worcester Nothing like a great wash on a great summer day. 7/12/11 Paul, Worcester A loyal customer. 6/28/11 Joanne, Charlton LOVE Ernie's best car wash around!!! Oxford I still remember the first time I went to Ernie's I was shocked to see there was not one but two guys there to help me make sure my car comes out as clean as possible. Every time I go my car comes out looking new and its thanks to you guys! Its like nothing Ive ever seen before! Thanks so much! 6/8/11 Elaine, Spencer Ernies, still the best car wash around. Worcester Great job on everything , you guys are the best . Keep up the good work. Worcester I love your car wash! Always satisfied every time that I use the wash there! N. Brookfield I just love Ernies! I use Ernies all the time! Thanks! Keep up the good work! Yelp Review I use the touch free car wash here every once in a while. I have nothing but nice things to say about this place. The staff is friendly, and I always leave with a clean and undamaged car. For those more ambitious then myself, there are four self service bays and a few vacuums. 5/27/11 Kenneth, Rochdale Best Car Wash EVER!! 5/27/11 Valerie, Hubbardston I love your carwash - touchless is the only way to go. I wash my car at least once a week on my way home from work. Love the under carriage wash during the winter. Thanks! N. Brookfield Ernie's car is the best and quickest car wash around. Worcester I remember his (Ernie’s) first place on Milbury Street, do it yourself or drive thru. He was always breaking up the ice during the winter, and more than willing to help anybody clean there car. You were number one then and still are. Marlboro I have been utilizing your facility for over 20 years, and have had five new and one used cars that have passed through your doors & have thoroughly enjoyed your services each & every time, there's nothing like it! Keep up the great work! Yelp Review Raving. Shouting. Fainting. Screaming Fan. I've taken every last one of [my cars] to Ernie's like a religion! They have the best drive-through car wash for the money... its not cheap like the Shell Station's, but also not outrageous, and you DO get what you pay for. Ernie's I will always love you up. 4/8/11 Keila, Worcester You are the cheapest bestest car wash. Love to wash my car there. 4/7/11 George, Worcester Your website's really comprehensive and user friendly. Tells it well as it is. Keep up the good job. Charlton Have enjoyed Ernie's car wash in the past. Looking forward to a good cleaning now that winter is ALMOST over! West Boylston I love the West Boylston Ernies, My Home Town Car Wash !!! Auburn I've used Ernie's for many years, and it is hands-down the best value of any car wash - thanks! N. Brookfield I just moved back to central mass from living down on cape cod for the past 10 years. Everytime I was in the Spencer area visiting family, I'd stop by Ernies for a car wash before heading home. Now that I am back in the area, you can be sure that I will be a regular visitor! West Boylston For the past 10 years, Ernie's has SAVED my car from certain biohazard status. I LOVE LOVE LOVE you guys!!! West Boylston Love your carwash! Spencer Ernies is by far the best car wash around. There is no need for me to wash my truck anywhere else as the people that work there have excellent customer service skills, are attentive, helpful and polite. I always feel my truck is getting the finest, cleanest, and invigorating wash job after this long hard winter. When the wash is complete it seems as though I have a brand new sparkling truck. Ernies equals excellence. 2/15/11 Gleick, Hubbardston Love the car wash. Keep up the good work. 2/11/11 Derek, Brookfield I only use and only will continue to use Ernie's. 2/10/11 Robert, Worcester Great car wash.
N. Brookfield I don't get there as often as I'd like to. The guys that work there are very courteous and do a good job. Thanks! 2/9/11 Jonathan, Ware I drive by lots of car washes and always pass them buy, so i can go to ernies in spencer! 2/8/11 Michael, Worcester The people who work at the car wash in Worcester are excellent. 2/8/11 Paul, Worcester I love going to Ernie's. 2/8/11 Paul, Worcester The only car wash I use for many years! Marlboro you guys are the best!i wont bring my car anywhere else! 2/8/11 Sandra, Shrewsbury LOVE you guys! Great car wash, my car is thanking you this winter for sure. Spencer Staff is always courteous and efficient. 2/7/11 Darlene, Worcester Love your car wash!!! 2/7/11 Robert, Sturbridge I buy my wife a book of Super Washes for Christmas every year! 2/7/11 Richard, Milbury Best car wash in Massachusetts....bar none! 2/7/11 Paul, Marlborough I have been going to Ernie's since the late 80's, have had five brand new car's washed and thoroughly enjoyed the care and ease of the drive through washes. Keep up the great work, above & beyond the call!! Thompson, CT Great job always done on my SUV! Fast , easy and convenient! 2/7/11 Doreen, Millbury i love your car wash.
2/7/11 Jerry, Spencer still the best! 2/6/11 Lisa, Worcester Ernie's Rocks!!! Pomfret, CT Great car wash! 1/11/11 Kenny, Worcester love this place! 1/11/11 Christine, Millbury I Love Ernie's! 12/1/10 Karen, Stoneham My mother-in-law raves about this place. We'll give it a try when we come visit her. 10/17/10 Betsy, Worcester Love the new West Boylston wash! Sutton Will not go anywhere else but Ernie's...I have a Ford Escape & I 4-wheel drive on Sandyneck beach down the Cape. I always take my Escape to Ernie's for the undercarriage wash to get rid of the sand & salt. Have been going to Ernie's for years!!! 10/16/10 Fred, Worcester I have been going to Ernie's Since Ernie was on Millbury Street, bring my hot rod and his english wasnt great and my Italian was terrible. He would give us quarters no change machines back then. He would let us close one door and work on our cars. Great guy. we miss him. 10/15/10 Jacqueline, Worcester Ernies is the only car wash I use. My car always comes out great. 10/15/10 Arlene, Worcester Second only to me when it comes to washing cars! Worcester Best car wash in the area-Grove St.
East Brookfield You guys are the besssssssssssssstttt! Worcester Best Car Wash Around. East Brookfield I love your new discounts your offering with the reciepts. Marlborough Have been going to Ernie's for over twenty years and always satisfied! Keep up the gret work! South Hadley Love Ernies car wash....best ever !!!! Boylston Our family has been going to your car wash for years. Now we are even happier that you are in West Boylston because we live in Boylston. North Brookfield when I get a chance to go there. I'm happy with the outcome...and your staff. 10/12/10 Matthew I just wanted to write to you about a great experience I had at your Millbury Street location. I would really like to commend the member of your team who was staffing this location at that time. Unfortunately I did not get his name, but I have had another positive experience in the past with the same staff member at this location. He is very thorough in preparing the car for entry into the tunnel, especially with the wheel cleaning service. He takes the extra time to really prepare the car properly, and as a customer I really appreciate it. As a business owner myself, I understand how hard good help can be to find, and just wanted to point out a member of your team who is making an extra effort to really make your Company stand out from its competitors. Yelp Review Staying over a friends place in Worcester, I woke up one Saturday morning to find what appeared to be a rather angry tree which had won a battle against my car, donating a large amount of pollen, sap, and berries to my freshly washed exterior. Not wanting the residue to dry, I quickly looked for a nearby carwash and found this place. I refuse to go through any wash where brushes are used (as any self respecting car enthusiast should) and as such, was delighted to find a number of bays with self serve power washer guns. Cost was $3 for about 3 good minutes of use (soap, rinse, spot free rinse - didn't get fancy although they offered more options), plus $1.75 for a decent microfiber cloth (other wipes and products also available). Change machines were on hand, as were a number of vacuum's. Not crowded, although there were a few other people present. Will be visiting again should I be in the area and in need of a quick wash.
8/31/10 Ronald, Leicester I love going to Ernie's Car Wash because they do it right the first time. 8/31/10 Brenda, Rochdale Always use Ernie's - you are the BEST!! 8/28/10 Paul, Worcester Love your place. will not go anywhere else. I have compared other places and no one compares. 6/17/10 Tammy, Boylston I never used a car wash until you guys came to west boylston I love it!! & you donating the money is GREAT!!! 6/11/10 Michael, Leicester Your super washes are fantastic! 8/29/10 Judy, Worcester I'm writing to comment on the very pleasant experience I had at Ernie's Car Wash on Millbury St in Worcester on 8/28/10. I drove into the car wash after 5:00 PM and was pleased to see there was no wait. I asked the young man if there was something he could spray on the front of the car to help remove some of the dead insects. He was so pleasant and said certainly and that he could remove all the insects. His goal was to make the customer happy. He actually continued to carry on a conversation with me while he was ringing up my credit card, which is very refreshing since I'm an older woman and most young people couldn't be bothered. Both young men were extremely courteous and went above and beyond what I expected them to do. They took their time with the spraying and brushing and doing the wheels. I was very impressed!! 6/9/10 Richard, Millbury Best Car wash ever! 6/8/10 Paul, Marlboro I've been going to Ernie's on Grove for over twenty years. Since that time, five of my new vehicles have passed through the touchless system, and never, ever have I regreted it. Keep up the superb job!! Oxford Wouldn't trust any other car wash to clean my vehicle! 6/8/10 Peggy, West Boylston You are the only car wash I use. everything is perfect! West Boylston WE LOVE ERNIE'S! 6/8/10 Lisa, Worcester love Ernie's! West Boylston Great to have Ernie's in WB. 6/8/10 Dan, Lancaster PLEASE KEEP UP THE EXCELLENT SERVICES YOU PROVIDE! 6/8/10 Valerie, Hubbardston I love Ernies. I work in Worcester near Ernies and I hit the car wash on the way home. I love the touch free system. 6/2/10 Deanna, North Grafton Lookin' for a no-touch wash, no more scratches on my car :-) - I haven't used your wash yet, saw your ad today and am checking this out for the first time, I will DEF recommend friends if I like your service! I'm sure I will! 5/14/10 Sheryl, Oakham I love this car wash! Everyone is so thorough and friendly! East Brookfield Love your car wash.
5/3/10 Fred, Westboro Worth driving from Westborough to get a great wash.
Ocala, FL This is one of the best car washes I have ever been to. Forget the fact that it's a new facility, the service here is unbelievable. This is the only place in the Worcester area I bring my car for a wash because of the great customer service and the attention to detail they give my car. I absolutely love coming here and I recommend it to anyone else in the area. Spencer I love that the attendants take the time to scrub down your car before you go through the wash.
West Boylston I have been with you guys from the start, no other car wash of any kind could try to compare to you!!!!! 4/30/10 Francis, Millbury Millbury st. attendant was great. Good guy, thorough. West Boylston Great car wash. Car comes out sparkling! Oxford Why go anywhere else to clean your prized possession??? Ernies is the best! 4/30/10 Doreen, Millbury You have the best car wash around. 4/30/10 John, Shrewsbury It's great that you have three locations to serve worcester area residents. Touchless is the way to go !!!! 4/29/10 Michael, Sutton I love the do-it-yourself wash bays. Quick and cheap car wash, with lots of settings. 4/4/10 Michael, Sutton The self serve bays offer a wonderful selection of setting at an even better price. Being able to completely wash and wax my cars for under 10 dollars is amazing. 3/9/10 Hilary, Charlton Best car wash around. Employees are always friendly, smiling and willing to help! East Brookfield You're the only car wash I'll go to. My car comes out scratch free and dirt free. Holden I just bought a beautifull new Ford F150 truck. Each time I wash it I request no wax, please use brushes on only glass and running boards and please fold mirrors. Every attendant makes sure he passes these requests on to the fellows in the bay and they, with a smile and a thumbs up, understanding my pride and do a great job. I have always used Ernies and I will continue as well as reccomend Ernies to all. 2/5/10 Frank, Leicester Have used Ernie's for many years. 2/2/10 Paul, Marlboro I've been taking my cars through Ernie's Touchless for over 18 years, and they & I have throroughly enjoyed each & every washing experience!! Their service is above reproach! Keep up the great work, their #1 in my book!! Oxford Ernie's is the only place to go to make your vehicle clean as a whistle for a good value !! Ernie's Touchless Car Wash is a great place for a quick car wash. Liked this place. Was looking for a place to wash my car before a job interview and was relieved to find Ernies. Car came out great! No waiting in line. 1/23/10 Emilie, Charlton You provide great service in Spencer. 1/21/10 Ronald, Worcester Keep up the good work!!!!! West Boylston you're the best around! 1/12/10 Tina, Ledoux Loved the coupon book blue plastic envelope-nice touch to give someone and it makes it easy to find coupons in the glove box. 12/23/09 Arthur, Brookfield Keep up the good work. W. Boylston Had my doubts. Had my washes. Doubts went down the drain with the dirt. I use the wash in West Boylston monthly and on occasion twice a month. Couldn't believe the shine. 12/3/09 Angie, Thompson, CT I VISIT THE ONE ON GROVE ST AND LOVE THE CLEANLINESS AND GREAT CUSTOMER SERVICE! KEEP UP THE GREAT WORK AND THANK YOU FOR ALL YOU DO! 12/2/09 Richard, Millbury Love your car wash. Its done right first time and every time! Fast friendly, efficient, who could want more. 11/25/09 Nancy, Spencer I just love the team in Spencer! 11/24/10 Laura, Charlton Best Car wash in town! West Boylston You are absolutely the best car wash and the only one i ever use! 11/23/09 Jenn, Northboro My car hearts Ernies! 11/23/09 Sylvia, Spencer Love your car wash in Spencer and the staff does a great job making sure your vehicle will come out clean. Lancaster KEEP UP THE EXCELLENT VALUE AND SERVICE! Boylston I will be using the new Ernies in W. Boylston alot this winter. Worcester You are convenient and good. Charlton just love the care the crew gives, nice car wash!!!! Princeton Excellent facility. Workers are friendly, polite and helpful. Spencer i enjoy going to ernies to have my van washed. Always there, at least once a week. Paxton Best car wash ever! W. Boylston Ernie's is the only car wash I use, don't change a thing!!! Oxford Love your car wash. keep up the great work. N. Brookfield I love the way your touchless car wash leaves my vehicle, clean and shiney top to bottom. Worcester Haven't found a better car wash.
Clinton Thanks for building the new W. Boylston location! I'm moving to Clinton, so this location is more convenient than the Worcester locations. 9/15/09 Spencer You are the best! 9/13/09 Worcester Need to use "touch-free" car wash and the crew always does a great job prepping vehicle before going thru the wash.
9/6/09 Worcester I love the quality of your car washes. Good service, clean facility, hi-tech wash. Thanks Ernie! 8/16/09 Millbury Just bought a new black prius and was to told by a cop to never go through a car wash unless it's touchless...he explained why. 6 months ago I bought a new prius and was in an awful accident I loved that car but noticed the shine looked wierd after awhile...now I know why. I hope you are open today (Sunday) cause I'm your best new customer. 8/12/08 West Boylston Glad to see a car wash in the area. . . finally! 8/8/09 Thompson, CT anytime I'm in the city I run thru Ernie's car wash. None of the automated car washes in my area do as good as a job, or have nicer, courteous people working there. Thanks for making a Great car wash! 8/6/09 Worcester Love Ernie's - always an awesome job!! 6/4/09 Spencer I am very happy with ernies because if I am not happy with the wash it is redone. 6/3/09 West Boylston I have been a customer of yours since your car wash started out. I am so glad to welcome you to my town, West Boylston, it is about time!! 5/18/09 North Oxford On May 18, 2009 at 11:35 AM I went to Ernie's to get some coupon books for Father's Day. The associate, didn't catch his name, was THE BEST person I have ever dealt with at Ernie's! He was friendly, EXTREMELY courteous, and one of the few to actually wish me a nice day! Look into the schedule and see who that associate was, because he puts forth the effort that EVERY customer service person should!! 4/8/09 Sutton I have been a loyal customer for years. I never go anywhere but Ernie's (Auburn & Rt. 146 location). Recently I got a free car wash for saving & handing over 10 wash receipts. I got the Super Special Works. I have to tell you my black car just looked awesome & what a shine. I love the Rain-X. 4/5/09 West Boylston Used the new West Boylston car wash last week. My car came out beautiful. Glad you are in town! 3/30/09 Worcester Keep up the Good Work. 3/28/09 Worcester BEST CAR WASH EVER!!!!!!!!!!!!!!!!!!!!!!!!! 3/28/09 Worcester Thanks for not scratching my cars! 3/19/09 Charlton absoulately a great wash and nice people that serve you. 3/18/09 Cherry Valley My car is pretty dirty!!!! i need to win a wash bad. MY monte-carlo drives so much better when it's clean. Your the best!!!!!! 3/17/09 West Boylston So glad you are finally open in town!!! Congratulations, great car wash, I have already been twice since opening day! 3/17/09 Worcester I am happy to see your West Boylston Car Wash open. I love how my car looks once it is cleaned and knowing you are now just down the street and I no longer have to travel to far is great. Thank you! 3/17/09 Princeton Pleased with new location ... convenient to Princeton home. And, with the new bays for taller vehicles! 3/17/09 Hubbardston Even though I live in Hubbardston I work in Worcester and have gone to Ernies for over 20 years. I give Ernies Gift Certificates at Christmas. Love Ernies! 3/17/09 Westboro Will drive from westboro to Worcester to get a quality wash. Love the touchless system. Great job. 3/16/09 Paxton You're the only car wash I trust my car to! 3/16/09 Worcester Another winter and Ernies did a great job keeping my car looking great with outstanding service! 3/16/09 Boylston My husband and myself have been loyal customers for many years. We have always visited your location on rt 146 even with all the construction. We are very happy that you now have a location closer to our home. Good luck with the new Ernies Car Wash.
3/10/09 Marlboro A very good company for your buck! 3/10/09 Charlton loved my recent car wash in the Spencer location! Much much better than the car wash that is at [store name removed] in Charlton! 2/27/09 West Boylston It isn't safe for my car to be washed any where else...I tried..it took the antenna right off my car & almost $89. out of my pocket to replace it! Kudoos to you! I'll never go any where else...you're the best!! 2/13/09 West Boylston I live in West Boylston and am very anxious to see your location open here! No need to respond...thank you. 2/11/09 Boylston Can't wait to visit in West Boylston. 2/8/09 Worcester You are simply the BEST!!!! 1/15/09 West Boylston It's January 15th. My car is covered with SALT. Thought your new facility might have opened. It hasn't, but I will be patient. Looking forward to your opening in West Boylston.I wish you all the best ! 1/5/09 West Boylston I am looking forward to the opening of the West Boylston location. 1/3/09 East Brookfield I received a car wash coupon for xmas and saw you website. I liked the promo buy 2 books, get 2 washes free! I hope you do that again next year! Makes a great gift that people can use! 12/8/08 Boylston I hand wash my truck but when the weather starts to get cold I use Ernies at least twice a month. I was not satisfied with my wheels the last time I went thru the car wash. The attendent checked my wheels and just sent me thru again. Great people and service. 12/5/08 North Brookfield Ernie's does a good job on my vehicle and I wouldn't think of going to another car wash.
12/5/08 Worcester Best car wash in the area. 12/5/08 Charlton Great Car Wash LOVE IT!! 11/20/08 Clinton Great website and sounds like you are running a terrific business. Really sorry to read the personal history of Ernie and the loss of his son. Great charity work. 10/27/08 Southbridge JUst keep up the good work and thank you. 10/3/08 Woonsocket, RI I think that Ernie's is the best car wash anywhere! 9/5/08 Spencer The guys at Ernie's in Spencer are great. They always remember our preferences in washing our vehicles. 9/5/08 Oxford Great staff! Super wash! W. Boylston Thanks for having the credit card option. I would have needed way too many quarters. 8/28/08 Clinton Your car wash I find is the best one!! Works wonders! 8/20/08 Sutton Ernie's is the best car wash around!!!! 6/14/08 Linwood Just a great car wash! 6/12/08 North Brookfield This car wash provides a super job. 6/9/08 Charlton I love the washes, love the friendly people too. 6/2/08 Spencer I love Ernie's because it's touch free. 6/1/08 Princeton I drive 30 miles round-trip to use Ernie's car wash because my car comes out clean, sparkly and scratch-free. Love your great service & I'm looking forward to the completion of your new West Boylston facility. 4/19/08 Spencer I truly enjoy going in and getting my car washed; whether its in the bay or the touch free. Everyone is really nice and are here to help you. I highly recommend this place to anyone. The prices are very reasonable compared to other places. 4/11/08 Worcester I Can't wait until you finish and open your West Boylston location !! Please hurry! 4/2/08 Hubbardston My family and I have been going to Ernie's for over 25 years and it's the best place. One time my car was seriously and embarrassingly filthy and everything did not come off in the first pass through and they let me go through again no problem. I love Ernies! 3/11/08 Shrewsbury After my car service at Herb Chambers Toyota in Auburn last week I took advantage of the coupon they offer with each service and took the time to go to your car wash down the street. I was amazed at how clean my car was after the regular automatic wash. I have never been to a car wash that left my entire vehicle so clean, including the rims of my tires. Usually I have to wipe the grime off of my rims after I go to the car wash. I am from Shrewsbury, so I tend to frequent the local car washes. No more, I will take the time to go to your Grove Street location in Worcester, it will be worth the extra driving time. 2/20/08 Shrewsbury Love your carwash, I intentionally drive out of my way to use your services. 1/4/08 Charlton I LOOVVVEE ERNIES!! 12/21/07 Auburn We give Ernie's Car Washes for Christmas presents! 12/10/07 West Boylston I can't wait until the West Boylston Ernie's opens! 12/3/07 Sterling I'm so excited about the new Ernie's in West Boylston. It's 2 minutes down the road from my office. Now my wheels will always be clean!!! 12/3/07 Worcester I started going to Earnie's because it is safer for my car! and Love the SERVICE!!! 12/3/07 Charlton You always get a good wash and the help is always friendly and curteous. 12/3/07 Northboro Just a quick note to tell you what a great newsletter you have each month. You really know how to provide value added service, great PR for Ernie's, and you know how to build customer loyalty. 11/12/07 Princeton I absolutely love Ernie's and I drive all the way from Princeton to Spencer to use your service. No car wash has ever got my car as clean and scratch-free as Ernie's. Well worth the trip. 10/15/07 Spencer Awesome car wash, gets my car cleaner than any other car wash in central MA! 9/25/07 Linwood Lech and Dennis were very helpful today, Tuesday, September 25, 2007, with my problem truck, just returning from a cross country trek of 3000 miles!They were able to take the truck through twice, getting most of the dirt and dust from around the country and an insect graveyard represented from all of the states east of the Mississippi!I appreciated their help. I also appreciated your bay wash setup! I have never seen a credit card payment system in all of the travels I have done. Also, the amount of soap dispensed from your brushes leaves all of the other bay wash facilities in the dust.Thanks for a great car wash! 8/20/07 North Brookfield I don't mind driving over to Ernie's Touchless Car Wash because it has better facilities. 7/27/07 North Brookfield I like the wash job I get here, it's so personalized. 4/22/07 North Brookfield Your employees in Spencer have always been very polite and helpful. 4/5/07 Boylston I enjoy washing my truck in the summer but when winter comes Ernies is the only car wash I will go to. The touchless system is great because it does do a great job cleaning and I never have to worry about scratches from brushes or cloth systems. The people at the Worcester location do a great job to. Keep up the good work! 3/30/07 Spencer Best car wash! 3/30/07 Brookfield I get my car washed at the Spencer location regularly - I am very happy with the service and the friendliness of the staff. Keep up the good work. 3/9/07 Worcester Like your service, have my car washed twice a month at your place only. 2/22/07 Jamaica Plain The price is low and acceptable. 2/17/07 Spencer We love Ernie car wash! 2/11/07 Worcester Love your website, very colorful. 2/6/07 Webster Love the service! 10/3/06 Worcester Ive been going to your car wash for as long as I remeber and I myself am a car detailer! 9/16/06 Princeton I love Ernie's Car Wash. I drive all the way from Princeton to Spencer just to get your superb car wash. After going through Ernie's - my car is absolutely clean with no dirty areas left. Keep up the good work!! 9/8/06 Oxford This is the only wash system we choose to use on our vehicles. It keeps them looking like the day we bought them. 8/28/06 Charlton I go to the Spencer location and have found everyone to be helpful and friendly. Always doing a great job. 8/17/06 Worcester Your carwash is the best, and I love that if you save ten receipts, you get a free wash! What a great incentive. 8/8/06 Webster Great service & freindly service all the time. 7/26/06 Worcester I love the friendly service and you do a great job! 7/25/06 West Boylston I know that the car wash is great - because in the winter the line is always so long! 7/23/06 Shrewsbury Always use Ernie's. In a hundred washes, it's always been a pleasant experience. 7/19/06 North Brookfield Great car wash! -- just tried it today after using one of the mini - touch free lately. 6/27/06 Worcester nice job guys ! 6/27/06 North Brookfield I get a good wash job at Ernies'. 6/22/06 Worcester I love you guys. I just got a new car, and it looks great coming out of the touch-free car wash.
6/22/06 Worcester Love Ernies! Just got a new car and hope to keep it looking fine! 6/10/06 Webster The Ernie's Car Wash certificates given out by Herb Chambers Service Dept is a great idea! 5/22/06 Webster Ernie's is the Best Car Wash by far! Thank You! 5/19/06 Sterling i LOVE ERNIE'S CARWASH. 4/29/06 Spencer Ernie's is great because its touch free. Don't want anything scratching my new car. 4/16/06 North Oxford Awesome results, time after time! 4/6/06 Worcester I like to wash my own car. Ernie's sytem works so well, and economical, too. 4/6/06 Brookfield Great service. See you next week! 4/6/06 Oxford Ernie's gives every car the "just bought" look. I am a repeated satisfied customer ! 4/6/06 Oxford Love this car wash.
4/5/06 Webster I love the convenience and the "touch-free" wash - no scratches! 3/19/06 Worcester I am always very pleased with the cleaning after driving thru! Keep up the good work! 3/8/06 Whitinsville My first time today and it was a great experience!!! Thanks! 3/4/06 Worcester For touch free car wash ernies does a great job! 2/25/06 Millbury This is a great car wash. I like knowing it is touch free and harmless to my car. 2/24/06 Worcester I drive a white vehicle, whenever I go to another car wash, it is still dirty, but at Ernies, it comes out sparkling clean!! Thank you Ernies!! 2/20/06 North Brookfield Your Touchless car wash makes my car look great. 1/28/06 North Brookfield I love the wash/wax job I get at Ernie's. 1/26/06 Worcester I LOVE ERNIES!!! 1/23/06 Millbury I only take my car to this car wash because I'm sure there will be no scratches on my car because it is touch free. 1/7/06 Worcester By the way, the car wash is great but the people that work there make a difference! Thanks! 12/27/05 Buena Vista, TN I like your friendly service, your guarantee,and the quality of the wash. I always use your car wash when I'm in Worcester. 12/23/05 Barre Wish you had one closer to Barre! 12/22/05 Worcester I love your carwash! I go at least once a week, so the free one comes in handy!!! 12/21/05 Worcester I LOVE ERNIES!! 12/14/05 Cherry Valley This is a GREAT place!!! Merry Christmas!!!!! 12/14/05 Spencer Spencer Ernies is the best! 12/13/05 North Brookfield I get a nice wash & wax done at Ernie's touch free Auto Wash.
12/12/05 Holden Love your facilities. Just purchased book for stocking stuffer. 12/2/05 Worcester Keep up the GREAT work! 11/25/05 Worcester Great computerized car wash! 11/24/05 Charlton Just keep up all the good work that you do. 11/23/05 Boylston satisfied customer for years. 11/23/05 Worcester I have been coming to Ernie's for years and love it! 11/23/05 Charlton excellent truck wash.
11/23/05 North Brookfield It leaves my vehicle sparkling clean after running through the touchless washing machine. 10/27/05 Spencer Nice job, fast service! 10/27/05 Boylston The only car wash I will take my vehicles. Well satisfied customer. 10/20/05 Webster Thanks for contributing to the Diabetes Foundation. 10/20/05 West Boylston I just love your car wash it is by far the best on the planet! 10/20/05 Charlton love this place-the best around!!! 10/20/05 North Brookfield I get a great wash job on my vehicle at Ernie's Auto Wash.
10/4/05 Worcester wash is better than any [car wash name removed]..... fast and polite. 9/18/05 Leicester I love ernies! 9/16/05 Worcester I have been a customer over 10 years and will continue to be for years to come... I love the service!! 9/1/05 Spencer always a pleasure. Staff very friendly and efficient. What can i say, they wash cars well. Offering a multitude of varying packages, either wax and wash, wash and dry, or tons of other different combinations. They don't charge much, under 10 dolalrs normally, but they do good with the money. I recommend tham for a winter wash, or a self vaccum if you need. The only downside is the long line that normally ensues in the winter season. 8/15/05 Worcester Great wash every time. Nice employees. 8/11/05 Cherry Valley Your wash is SUPER! 7/25/05 Brookfield We love your car wash!! 7/21/05 Worcester You do a great job keeping my car clean! 7/21/05 Sterling I love your web site. Thanks! 6/27/05 Cherry Valley Keep up the great work! 6/23/05 Cherry Valley I always brake my nails when i wash my car, thats why i like u guys! 6/17/05 Sutton Ernie's is the best car wash around!!!! I never use any other car wash.
6/17/05 Princeton Enjoy your newsletter ... the format of your web site is excellent and a pleasure to read. Your charitable contributions are commendable. Your facilities are excellent, and I frequent as my car doesn't get "beat up" as with other car washes! With the advanced age of my vehicle, gentle is good!! I also find your workers extremely polite/pleasant ... and this is a rarity. 6/17/05 Milford Love the fact you give a little back to the community that helped make you successful. 6/16/05 Marlboro you are the best ... way beyond your competitors. 5/25/05 Webster I Love the touchless car wash system. I don't have to worry about scratching my new car. Thank You! 5/22/05 Oxford I'm thrilled to see NEADS on your Charity of the Month list. It's a great organization, and I volunteer there 2-3 times a week. Thanks for getting the word out! 5/1/05 West Boylston your car wash is the best! 4/23/05 Charlton very nice car wash and nice people working for them too. 4/23/05 Spencer Your car wash is truly the best there is! We are so fortunate to have "Ernie" in Spencer. He is truly a cherished friend to both car and its owner! 4/23/05 Worcester Thank you for helping me care for my car. Seeing a clean car makes me happy and I smile every time I see it! 4/23/05 Cherry Valley Keep up the great work! 4/23/05 Milford I like your informitive e-newsletter and the idea that you give back to the community. Keep up the good work! 4/22/05 Cherry Valley u guys are the best! 4/22/05 Oxford Love the cleaning job of Ernie's. Ernie's is our first and only choice to wash our family vehicles. 4/14/05 Worcester We LOVE your carwash!!!! 3/31/05 Spencer I've said it before, and I will say it again. The young men at the Spencer location are polite and really seem to care about my car! They always give it the extra touch before I go through the auto wash! 3/30/05 Auburn Your the best! What more can I say? 3/28/05 Rutland I live on a dirt road in the sticks, so my car gets dirty quite often. Whenever I get the chance, I visit Ernie's Grove Street location. After a visit to Ernie's full service wash, my car ALWAYS looks great. Your vehicle is an expensive investment - keeping it clean only helps maintain its value. Ernie's Wash Books, and printable coupons are sweet. Mix in pleasent and polite staff, and you've got the best deal going. Keep up the good work. 3/21/05 Charlton easy to get to, and great service. 3/17/05 Worcester You offer a great service! 3/16/05 Rutland Our four kids really enjoy the ride through your car wash! 3/9/05 Millbury We were very satisfied with the service and the wash we recently received. 3/7/05 Barre i love your carwashes that you can do yourself. i have such a fun time and your rates are great too! 3/5/05 Millbury Anytime I go to Ernie's your Greeters are so helpful and friendly. It is a very nice car wash.
3/4/05 Oxford Thank goodness for Ernie's. My commute takes me on major highways and all the road chemicals make it nearly impossible to see clearly through the windows not to mention all over the car surface. Poor visibility makes it a safety issue so I pulled into Ernie's and like magic..... a clean vehicle again. Thank-you. 3/3/05 Worcester we use your car wash at least twice a week...its great! 2/22/05 Worcester I think the guys who work at the 146 location are great - they're friendly and helpful. 2/15/05 North Grosvenordal, CT YOU AWESOME!!!!!!! DAWG!!!!!! 2/13/05 Webster Your Car wash is the only one i will go to! THANKS! 2/13/05 Shrewsbury i love your car washes. they're so fast, easy and fun, they're awsome. 2/10/05 Worcester I really enjoy going to Ernie's to get my car washed. It is economical as well as better for the environment. Thank you Ernie. 2/10/05 North Oxford I only go to Ernies, it cleans the best. 2/10/05 Worcester I love washing my cars at ernie's it makes the work easy and better than any other place. 2/7/05 Northboro Open more locations! I've had excellent results whenever I go to your wash.
2/5/05 Rochdale Love You Guys! 1/31/05 Worcester You have provided good service over the years. 1/30/05 Auburndale PLEASE open a location closer to Boston! There is NOTHING that even approaches the quality job that Ernies does. Actually, there are practically no touch-free AT ALL. I grew up in the worcester area. Ever since i got my license i have been washing my car at ernie's because of the great quality and the fact that it is a touchless wash. Every year i get coupons for Ernies as a stocking stuffer. I recently have moved to fall river massachusetts, and have noticed that you are no where to be found. My question is do you plan to expand outside of the worcester area, and if so, could i expect to see one anywhere around here. I would be more than happy to open a franchise of my own down Here!!!!! Thankx for all the great service. 1/17/05 Millbury Hands down Ernies is the BEST! 1/16/05 East Longmeadow I commute from Western Mass to Auburn everyday, so I tend to wash my vehicles more often. Your location in Auburn in outstanding in quality & service. Thanks! 1/16/05 Oxford I love your car wash- especially the undercarriage wash for the salt. Wish you had more locations! 1/14/05 Worcester Great Car Wash no other place compares to it. 1/14/05 West Boylston I have been going to Ernie's for years. You get my car the cleanest! 1/14/05 Marlboro Always above expectation. Very convenient, and good service. 1/14/05 Marlboro Ernie's Car Wash is the best car wash service I know. As per me it has no competition, as it is the best. 1/13/05 North Brookfield Your car wash makes my car look new again. 1/13/05 Worcester I love the service! 1/13/05 Framingham I use to live in Spencer and whenever I go home to visit the folks I visit you too! 12/30/04 Worcester Keep up the fine work. 12/28/04 Worcester Best car wash in Worcester! 12/26/04 Princeton I love Ernie's Car Wash and there is no comparison in quality. I have lived in this area for 7 years - before I moved here I used other car washes and my car was never really clean and was always scratched. Since I have been using Ernie's Car Wash my car is always impeccably clean with no scratches. You're the best!! 12/18/04 Brookfield I don't use any other car wash. Yours is the best. I have always been very happy with the way my car is washed. Thanks for asking. 12/16/04 Worcester Love your Car Washes !! 12/15/04 Spencer Great people in Spencer full serve. Friendly and thorough!!! 12/15/04 Marlboro Ernie's Car Wash is definetly better than most of the other car washes in terms of its quality, and service. 12/7/04 E-mail Just wanted to tell you that you guys run the best automatic car wash around, period. I've tried [car wash name removed], and their unattended “laser” touchfree system washes poorly (I had a car covered in bird droppings for just a few hours, and it still had significant traces on it after that car wash), and seems to have water jets that are way too strong and too close to the car body, but only on one of the sides of the car. The attended [car wash name removed] full cloth tunnel wash failed to get the area under the spoiler (which your auto wash cleans), and my car’s roof flexed a few times while drying. Now, you’d think with all this roof flexing the car would come out drier, but, no, the car comes out no drier than Ernie’s. [Fuel station chain removed] auto washes and all those gas station washes scare me, especially those that are maintained in abandon, with hard bristled brushes, and what not. They certainly don’t seem to clean too well either. I’m not saying that Ernie’s is perfect, but it is certainly the best of the bunch. Unfortunately, I’m moving from Worcester to Waltham, and so I won’t be able to regularly visit your wash (I frequented the one at Grove St.). This is too bad, as I’m reluctant to use any other washes in the area, and I have no idea if there are any ones that approach Ernie’s quality. So I hope that one day you will open a branch somewhere in the Waltham area :) For now, I’ll just have to schedule an occasional trip to Worcester. 11/30/04 Oxford I’ve got to say that Ernie’s is the only car wash that I trust. I’ve had my car get stuck in other car washes, poorly cleaned and scratched. I’ve always been happy with the quality of the wash I get from Ernie’s, especially how clean my wheels get. Great job! 11/19/04 Webster The best car wash by far! But, because I live on a limited income, I’m unable to have my car washed very often. Coupons are very important to me! 11/19/04 Worcester Ernie’s is great. I love using top technology when I wash my car. It is also cheap and convenient. 11/17/04 Worcester Wonderful service regarding the mailing of car wash booklets via the website! 11/14/04 Marlboro I used to live in Worcester since last September and used to get my car washed at Ernie’s once a month. Now since I have moved to different place, I have found how technical a car wash can be! I get my car washed here at Marlboro (unfortunately no Ernie’s car wash here) and I am never satisfied with my car wash. It seems to me that I should go to Ernie’s Worcester car wash shop to get my car cleaned. 11/13/04 Worcester I love Ernie’s Car Wash... I go there every week during the winter! 11/11/04 Webster Best Car wash! 11/10/04 Auburn Keep up the good work! 11/10/04 North Brookfield There may be new touchless car washes opening, but I prefer to go to Ernie’s Touchless car wash.
11/10/04 Worcester I just love the service I receive at the Spencer shop. 10/30/04 Worcester I love Ernie’s! 10/26/04 Westbrook, CT I love this place and the reasonable prices too! 10/22/04 Cherry Valley I’m always pleased to have a nice shiny car. I think it rides better lol. 10/19/04 Worcester I love the Spencer Ernie’s! 10/11/04 Smithfield, RI More locations! 9/24/04 Natick Please open a location in Framingham or the metro west area! 9/7/04 Webster Great wash. Awesome. 9/3/04 Paxton You are the only car wash I'll take my car to. 9/2/04 Worcester You have the best car wash around! 9/2/04 N. Brookfield Ernie's Auto wash is located close to my home and does a good job of washing my vehicle. 8/27/04 Spencer Spencer is the best place to get my car cleaned. 8/20/04 Sutton Ernie’s Car Wash is definitely the best car wash in town. I love the touchless system. I went to another car wash that wasn’t Ernie’s and my car had spots of wax all over it. I will only go to Ernie’s Car Wash from now on. 8/7/04 Worcester You guys rule. 8/5/04 Spencer The young guys in Spencer who prepare the car and collect the money before the wash, are really very nice, considerate and helpful. 7/30/04 Oxford Ernie’s is the only carwash I would consider bringing my Honda CR-V to. Never a question about cleanliness after leaving Ernie’s. I do towel dry before leaving the lot and it always looks great. I know that the manual prewash by attendants makes the difference. Keep it up. 7/20/04 Marlboro Suggestion - More locations... U guys beat [car wash name removed]. 7/8/04 North Brookfield Excellent location Spencer, MA. 6/15/04 Webster Great wash and great service. 6/15/04 Auburn I use Ernie’s at least once a week. I like the touchless system. THANK YOU. 6/15/04 Webster Awesome car wash, friendly service. 6/10/04 Oxford Love to wash my car at Ernie’s. 6/8/04 North Brookfield The touchless Car Wash at Ernie’s for automobiles you have are great! 6/6/04 Worcester I see the smiles on faces of people when they drive away with their clean and shining cars. 6/1/04 Spencer I love the fact that you offer wash tokens through a credit card operated machine. Saves a trip to the bank. Thanks. 5/23/04 West Warren I have no suggestions, Ernie’s has always left me a satisfied customer! 5/19/04 Cherry Valley I am always impressed by the professional and friendly service I receive at every location. It is nice to know people take such pride in their jobs. 5/18/04 Auburn Touchless is the only way to go to eliminate damage. 5/10/04 Brookfield Owning a cleaning business, your company helps me keep my image clean. Thanks a lot. 4/22/04 Auburn Great car wash! 4/20/04 Uxbridge It’s just the best car wash that I’ve ever been to. 4/19/04 North Oxford I never knew the background behind Ernie’s Car Wash and was touched by the Marc & Ernest Pallotta Foundation. I will continue to use Ernie’s not only because I love the touch-free wash, but because it is supporting a wonderful cause. Keep up the great work! 4/19/04 Charlton I love Ernie’s! 4/17/04 Sterling Why would anyone go anywhere else? You are the best! 4/13/04 Charlton Nice car washes and friendly services. 4/13/04 Spencer Thanks for helping keep my car and Jeep in great shape through the winter! 4/11/04 Worcester I love your car washes. Wouldn’t use anybody else! 4/10/04 North Brookfield Ernie’s Car Wash is close by and does a nice job whether you are washing your vehicle or cleaning the inside by using the vacuum. 4/9/04 Auburn I love you! 4/6/04 Oxford I wash my car only at Ernie’s because of the touchless system. The employees at the Auburn location are always helpful and courteous. 4/1/04 Rutland Use car wash bi-weekly. Great car wash.
3/29/04 West Boylston You are the best! 3/28/04 Worcester My car told me to tell you thanks. 3/22/04 Spencer Always satisfied after the wash.
3/19/04 Worcester I love Ernie’s car wash. Friendly and courteous workers. Best drive thru cleaning and when I’m broke, why not detail my own car? You can tell everyone loves Ernie’s by the traffic jam caused by people queuing in line for a wash! 3/11/04 Spencer I love your car wash.
3/10/04 Spencer The guys who work in the Spencer location are really nice and patient with new customers who don’t quite know what to do to line the car up, etc. 3/9/04 Medway You guys rock! 3/9/04 Webster Great wash, thanks. 3/8/04 Rochdale I have been a customer for many years. Love your new facility in Auburn. My wife gets me coupons for Christmas. 3/8/04 Oxford Thanks for everything. 3/6/04 North Brookfield Great job. 2/29/04 Millbury Cool car wash! It’s the best! 2/29/04 Rochdale We need more Ernie’s. I hate waiting in line. But you are the BEST. 2/28/04 Worcester You are the best! 2/27/04 North Oxford The Gentleman at your Auburn Rt. 20 wash was most helpful in suggesting that I visit your web site. 2/27/04 Worcester Your employees work in a very quick and efficient manner. 2/26/04 Spencer Love the wash...frequent customer in Spencer...personal and company vehicles. 2/25/04 Waltham Touchless is the best, there is nothing better. All others scratch. 2/23/04 Worcester It’s a pleasant place to go. It’s fast and convenient and the results are good. 2/22/04 Charlton Great place to have car washed! 2/19/04 E-mail Love the newsletter. 2/19/04 North Brookfield The wash job done at Ernie’s Touch-Free is a great way to keep your vehicle looking new and is good to remove the dirty accumulation. The workers are courteous and helpful. 2/17/04 Auburn Ernie’s is the best! I go out of my way to find an Ernie’s and won’t wash my car anywhere else! 2/17/04 Worcester You guys are great...keep up the good work. 2/17/04 Rochdale Have been using your car wash for years. 2/16/04 Worcester I cannot say there is only one single reason why I visit Ernie’s. 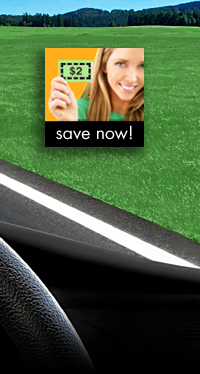 I think it is the best price, best care for the car, the best equipment and easy accessibility. 2/16/04 Paxton The people are very courteous at the two locations I’ve been to—Grove Street and Route 146. Thanks for having such high quality staff. 2/16/04 Charlton Everyone does a great job. Keep it up. 2/16/04 Worcester Your autowash is great on convertibles! 2/16/04 Charlton Absolutely love your car wash. I go there all the time. Everyone there is so nice and friendly. 2/16/04 Cherry Valley I visit all the Ernie’s locations and I am pleased to say that I always receive excellent service. They are conveniently located. The upkeep is excellent as well. I never see trash or other debris lying around. I have been using your car wash for about 10 years and have never had a negative experience. Keep up the great work! 2/8/04 Spencer You do a good job. 2/5/04 South Hadley I love your car wash...use it all the time in Spencer. 2/3/04 Worcester I love the touch free, it is always the best for the car. I worked at an auto detail for a couple years and we always recommended you to all of the customers to help take care or their cars. Thanks. 2/2/04 Worcester You have done a great job. 2/2/04 Worcester I love your car wash. It saves my baby’s life since I live here in Worcester going to college...meaning no driveway to wash the car in like when I’m home! The facilities are always clean and the setup is well laid-out. 1/31/04 Worcester Third generation here! My grandfather in Spencer and mom turned me on to Ernie’s! 1/31/04 Uxbridge With the weather being so cold it’s been impossible to clean the cars ourselves. The car washes near home are either never open or leave scratches. Thanks for helping us get them back to the color we bought! 1/27/04 Worcester You guys do a great job. My son loves going to Ernie’s. 1/26/04 Sutton We love your car wash. I got the gift certificates for my husband for Christmas, but I steal them all for myself! 1/23/04 Worcester Just got a wash. Came out nice and clean! 1/17/04 Leicester Ernie’s is the best car wash I have ever gone to. I can always depend on them to really get my car clean the first time. I usually use Ernie’s Car Wash in Spencer. 1/17/04 Webster You are the best and I personally like the Auburn branch. Keep up the good job guys. 1/15/04 Paxton I like how you have coupons online. 1/9/04 Framingham I have used Ernie’s car washes in Worcester and agree that they are the only way to go. 12/31/03 Brookfield I love the convenience of your Spencer location. 12/27/03 Spencer I visit Ernie’s regularly with Path Lab vehicles. Always courteous and fast. Very rare in these times. 12/18/03 Middletown, CT I love your car wash! It is the only car wash my dad went to while I was growing up and now I go to the one in Spencer when I am on my way to my parents from CT! 12/16/03 Worcester Outstanding! Keep up the good work! 12/12/03 Barre Great job, keep it up! 12/10/03 Barre I have been a customer for years! Love it! 12/9/03 Spencer We love your business! 12/9/03 Holden I am a frequent customer, love the different advice on the net, and really enjoy the free tokens. 12/8/03 Worcester I like your services and have been a customer for over 7 years! 12/8/03 Webster Great wash, no scratches. 12/8/03 Worcester You guys are the best, the only car wash I have gone to since you opened up on Grove Street! Keep up the good work! I will be stopping by to get some wash books for holiday gifts. 12/2/03 South Hadley Love your car wash...use them all the time. 12/1/03 Boylston I have received coupon books for gifts and I appreciate them. Always satisfied with Ernie’s wash.
12/1/03 Worcester Nice and clean...love the wash quality. 11/27/03 Spencer Keep up the great work. I continually and faithfully go to Ernie’s in Spencer on a bi-weekly basis and with the recent purchase of my new car I’m sure I’ll start attending more frequently. Thanks to all the staff at your Spencer location. 11/25/03 Worcester I really like the touchless car wash, especially for the undercarriage wash since we live in an area with much winter road salt. Thanks! 11/19/03 E-Mail I just received the gift certificate that I won by entering your raffle and want to thank you very much. My husband and I use your car wash in Auburn and have found everyone there to be most helpful. When our children ask us what we want for Christmas, we now include a book of car washes. Thank you again. 11/19/03 Oxford Great car wash! 11/16/03 Thomson, CT Please build more locations. Webster has a car wash, but I’d rather drive to Auburn to yours. 11/15/03 Charlton Absolutely love your car wash. I go out of the way to go there. 11/14/03 Worcester Love that shine! 11/14/03 Rochdale I have been using Ernie’s for a number of years. I am very fussy about my cars. Ernie’s is the only car wash that I will use and have asked my wife to use Ernie’s, so between the two of us we see plenty of your new set-up in Auburn. This new wash is so close for us. 11/14/03 Spencer You have very considerate and helpful employees in your Spencer store. 10/12/03 Worcester The online coupons are a great idea! 10/4/03 South Hadley Love the car wash.
10/31/03 Oxford I brought in my car that I parked in my yard all spring and summer. It was covered with pollen and dirt. Your men and the car wash did an excellent job getting it clean. I thought I would have to go through the wash a second time to really get it clean. But I didn’t have to. It came clean on the first pass. 10/18/03 Rochdale I have been using your system since you started. Great job, my car always looks great and I never had a problem. 10/9/03 Sturbridge Excellent and worth the ride to Spencer just to go to Ernie’s. 10/4/03 Worcester Love your car wash! 10/3/03 North Grafton I love your touchless car wash! I wouldn’t go anywhere else! 9/30/03 Webster Great wash, thanks. 9/16/03 North Oxford The car washes that I have received thus far have been great. Much better than the other place I used to go to. 9/10/03 Millbury You really are the best car wash around! 9/10/03 Millbury I am always very happy with the courteous service of your employees in Spencer! 9/10/03 North Brookfield Ernie’s Touchless car wash does a nice job. 9/10/03 Auburn Thanks for bringing Ernie’s to Auburn! 9/8/03 Newburyport I visit Charlton a few times a month, and I’d love to try your car wash out. I’ve heard great things about your business. 8/25/03 Worcester Very informative site. I learned a good deal more about the system and about the special offers, such as the "ten receipt" value and the coupons available on-line. 8/11/03 Worcester Since my car is white, it’s very hard to keep it looking clean! But Ernie’s always does an excellent job bringing out any beauty left in my old Buick! If you want to drive around in style...stop at Ernie’s first. 8/8/03 Worcester Just keep up the good work. 8/8/03 North Oxford I love your wash. It is always quick and no long waits like it used to be under the previous owner and especially the pleasant attitudes from the attentive personnel. The other praise report is the additive that you provided us with for our windshield washer for wax removal. My wife wouldn’t use your third coupon for a special of wax because of the film on her windshield but now she actually uses it and sometimes uses the wax special on the other coupons. Thank you so very much. 8/7/03 Shrewsbury I drive a Lexus and have been very satisfied with every car wash.
8/7/03 North Brookfield Your touchless machines do a fantastic job on a car’s finish. 8/7/03 Worcester I have been a customer for over five years and would not trade Ernie’s for any other car wash! 8/3/03 Worcester The staff is always friendly and thorough. I don’t go anywhere else to wash my car! 7/31/03 Harvard Are you planning to open any new sites? I live in Harvard and go to a touchless car wash in Westford [car wash name removed]. I am always calling and complaining. I have read people’s response to your services. It sounds like you have a great business. 7/30/03 Spencer I wouldn’t go to any other car wash. Your employees are respectful and do a great job. 7/12/03 Auburn So happy to have you in Auburn! 7/8/03 Worcester I just want to say that your car wash is the only one I go to for a good clean vehicle. 7/8/03 Charlton They always do a great job on car and truck washing. Thanks. 7/8/03 Worcester If my car needs to be washed I go to you guys. You guys are great... keep up the good work! 7/8/03 Charlton Doing a great job! 7/5/03 North Brookfield Your machines do a nice wash job on my mini-van. I look forward to my next wash job. 7/5/03 Sutton I went through the touch free wash and loved it! My car has never shined so much! 6/30/03 Spencer Best wash my car has ever had! I bring my family’s three cars to Ernie’s just about once a week. I go through Ernie’s wash in Spencer. Your employees are always courteous. 6/24/03 Framingham I was looking for a touchless car wash and found your site. I normally wash and wax my own car, but I want to find someplace that will clean my undercarriage. Your system seems like a perfect fit and offer what I want. Namely, a truly touchless system. 6/24/03 Northboro I recently experienced your auto wash and received great service. As a business owner myself, I always appreciate hearing from those people who have had a positive experience with my company. 6/23/03 Leicester You do a great job and the attendants are very personable. 6/22/03 Brookfield Love coming to Ernie’s Car Wash—the workers are always friendly and very helpful—thanks for everything! Today my brother was very upset due to a heavy film that developed on his Cadillac after he hand washed it. I advised him I also used the same solution and the film also developed on my Honda Passport. I advised my brother visiting from Florida to take his car to Ernie’s Car Wash as all the film disappeared when I took it there. At approx. 2:00 on 6-20-03 I went with my brother to Ernie’s. The gentleman working there today provided Superior Customer Service. He advised us of Ernie’s mission, as well as the history of the company, reassuring us. He pre-washed the car prior to going into the wash. He truly went the extra mile to ensure the car was going to have the finish it had prior to the car being wash by hand. The car wash took all the residue off the car, as it did with my Honda Passport. Superior customer service, superior cleaning job on both cars. 6/4/03 Worcester Great car wash! 5/30/03 Princeton I frequent your car wash and always find your number one asset to be your employees. 5/30/03 Worcester I love Ernie's! 5/30/03 Woodstock, CT Great job of keeping my car clean. 5/28/03 Worcester The best car wash place I have known since the year of 2000. You have done a great job. Thank you. 5/22/03 Worcester WOO HOO! Great wash—keep it up guys! 5/17/03 Spencer We love your washes. We have been going for years and years. Your staff is great. Keep up the good work! 5/4/03 Worcester It is the best car wash in the city/state! And the service is great! 5/3/03 Worcester Best car wash in Worcester County. 5/2/03 Leicester Got a new car and have been visiting once a week. It is great that you take my credit card. 4/30/03 Princeton Excellent service with fair pricing. 4/27/03 Worcester Love the wash! 4/25/03 Oxford I always come to Ernie's. Best darn Car Wash out there! 4/23/03 Millbury I am there at least once every other week. I love the touch free. 4/18/03 Spencer I always get a great wash when I go to Ernie’s! 4/16/03 Auburn Really glad you added the wash on Rte. 20 in Auburn. Thanks! 4/14/03 Westboro The web site if fabulous and your car wash even better. 4/9/03 Maynard You’re the best! One of the things that I miss since moving from N. Grafton to Maynard is Ernie’s. There aren’t any car washes in this area that are nearly as good... Worcester is pretty far to go for a car wash, but I try to combine it with other errands and keep my car clean and happy. 4/8/03 E-mail I bought a new car 10 days ago and haven’t seen a day of sun since then! Deciding on a wash, I went to Ernie’s because of the “touch-free” technology. The attendant was very thorough and treated my car with extreme care. The car came out beautifully. It snowed the next day—I’ll definitely be back! Thanks for the excellent service. 4/7/03 Worcester Best wash out there. 4/4/03 Worcester Great Car Wash! Every Sunday my grandson and I bring the car for a wash! 4/4/03 Worcester You are the best. 4/3/03 Charlton Just keep up the good job. Appreciate how hard you all work. 4/3/03 Auburn The best car wash ever. 3/26/03 Woodstock, CT Since I work in Spencer I avail myself of the BEST car wash that I’ve ever used! You have a very nice and informative web site. 3/21/03 Barre I’ve been using Ernie’s for years now. Always get a great wash! If you ever closed I’d be lost. 3/21/03 Medway Ernie’s is a GREAT place to get your car washed! 3/21/03 Spencer Your car washes are great. The best in Spencer, MA. 3/18/03 Gardner My husband went through your car wash today with my car and it did a fantastic job. Then he went home and went back with his 2002 Harley Davidson truck. He used one of his coupons from the book I bought him for Christmas. He thought that was such a great present to find in his stocking on Christmas morning. Thanks for the great washes. 3/18/03 Gardner I washed my truck and my wife’s car today. Cannot believe how great they came clean. Great job. 3/18/03 Charlton Guys it was a cold and hard winter and you all did a great job. Keep up the good work. 3/12/03 North Oxford Love it. I used to use your car wash when it was owned by [car wash name removed] and they would break my rear washer arm about 2- 3 times a year. Now touchless hasn’t even bent it so I would have to bend it back. Great! 3/12/03 Dudley Ernie’s is the best car wash that I have been to. 3/12/03 Sterling Consistently great job. 3/12/03 Auburn The attendants at the Auburn, MA location are always polite and pleasant. It is nice to go somewhere that you know you will always be treated well. Great Job! 3/12/03 Millbury I love Ernie’s Auto Wash! I wouldn’t trust anyone else with my vehicles! Thanks for doing such a great job, and taking pride in what you do! 3/11/03 Brookfield If it wasn’t for Ernie’s, I’d have to drive south to wash my truck all winter. 3/11/03 Woodstock, RI Keep up the good job! 3/10/03 Southbridge I’m very happy with the outcome of the services I receive. It’s so nice to feel that my car comes out beautiful every time. Also, every part of my car is safe without damage. 3/10/03 Charlton I absolutely love your car wash. I also like that you are open late as I get into town approximately 6:30 p.m. Your personnel is always friendly. 3/8/03 Worcester Ernie’s Auto Wash is the best washing place in Worcester. 3/7/03 Princeton Great company, thoughtful employees! 3/7/03 Worcester I drove through the car wash the other day and again...the service was quick even though there appeared to be a long line. 3/6/03 Charlton Fantastic car wash.
3/1/03 Auburn Ernie’s is the best! 2/24/03 West Brookfield Love your car wash. Have used it since you first opened. 2/22/03 E-mail I stopped in Worcester on my way from New York City to Boston recently. I’m on the road a lot, and this is the best damn car wash I’ve seen. Keep it up. 2/17/03 Worcester Great Service and friendly employees even when its very, very cold out. Thanks. 2/14/03 Leicester With this difficult a winter I can always count on a clean vehicle when I leave your facility. The staff is always very nice and helpful. I wash about once a week lately, kinda like to keep a clean car I guess. 2/7/03 Worcester You guys are the best. I am there all the time! 2/6/03 Brookfield Only place like it in central MA. 2/4/03 Worcester I always like going to Ernie’s. Good service and nice people that work there. The equipment is always working and the grounds are well kept up. 2/1/03 Southbridge Your Spencer location is great! 2/2/03 Auburn I visit often and love the touch free wash. Workers are always friendly and courteous even if it is very busy. 2/1/03 Boylston I love your car wash.
2/1/03 Worcester I like doing my car at your car wash being it so convenient for me. And also it is well kept. 1/31/03 Worcester I have never tried the self serve bays...it’s way too easy to just drive through...your employees are usually super nice! 1/31/03 Worcester It is a great place to wash my car. You guys do a great job. Thanks. 1/31/03 Worcester I like your operation! 1/30/03 Spencer Keep up the good work..
1/30/03 Leicester The Ernie’s staff is great especially in Auburn. 1/2903 Douglas The new Auburn site is outstanding! 1/28/03 Uxbridge Got a free pass from my boss for Christmas. Went through once...it was awesome! Really cleaned my car! 1/28/03 Southbridge Love the quick service and end results! 1/26/03 Worcester Always a great car wash! 1/26/03 Worcester Your car wash is the best! 1/25/03 Charlton I have been going to you in Spencer for over 10 years and appreciate the job that all the employees do especially during these cold winter days for their courtesy in providing each customer the best care they can. Thank you. Keep up the good work. 1/25/03 Shrewsbury The service down in Auburn is fantastic. Even in the coldest toughest days your employees do everything possible to get excess debris off, providing the best possible wash.
1/22/03 Dudley Keep up the good work. Glad to see another location (Auburn). Keep ’em comin’. 1/22/03 Sturbridge I have come to Ernie’s a few times now since moving to the area, and the guys that work the bays are very nice, and the washes are great! The salt and dirt all comes off. 1/22/03 Douglas I love Ernie’s Car Wash.
1/20/03 Southbridge Very clean wash. Thank you, well worth the money. 1/20/03 Barre Keep up the good work. 1/20/03 Worcester I went to the Grove St. location this past Saturday. There was a long line when I approached but it went very quickly and I was out of there in no time! 1/19/03 Charlton I love the car wash, it does a great job. Great for the winter. 1/18/03 North Oxford Glad to have you within three minutes of home...love the convenience. 1/18/03 Millbury Have used Ernie’s many times and have always received a good wash and wax. 1/17/03 West Boylston Touch free is the only way to go. 1/16/03 Auburn Best car wash around—wouldn’t trust my Saab anywhere else. 1/16/03 Worcester You guys are great...just take a look at your lines and everyone knows how good Ernie’s is...your line is out in the street in Worcester, and there is no one across the street at the other car wash! 1/16/03 Worcester Thanks for taking care of my Audi! Service is Great! 1/16/03 Worcester I love the service! 1/16/03 Auburn The new Auburn location is great! 1/15/03 Dudley Your are the best car wash that I’ve used. 1/14/03 Southbridge I had the pleasure of getting my car washed at Ernie’s just the other day and was very pleased with the results. My car came out sparkling clean! 1/7/03 Spencer I have been going to your car wash since you opened. I am a sales rep. so my car always needs to be clean. I wash it once a week or more. Your car wash is the only one I use. Thank you. 1/2/03 Southbridge Love the new car wash. It works well! 12/24/02 Paxton Your employees are always friendly and helpful. 12/15/02 Millbury This is the best car wash I’ve ever been to. 12/8/02 Worcester Best place to wash my ride! 12/7/02 Lowell You guys have the BEST car wash system in the WORLD! 12/5/02 Worcester I have been a satisfied customer for over 12 years! I like the service and have nothing but positive things to say! Thank you. 12/3/02 E-mail Thank you for responding so quickly. It’s rare these days to have the president of a company communicate directly with customers on a daily basis. 11/29/02 Spencer Best car wash around. Thanks! 11/27/02 Worcester I love the job your car wash does. No one can match it. 11/26/02 Worcester You have an extremely friendly web site! Nice job. I recommend it to others! 11/21/02 Oxford I’ve washed my last three vehicles at Ernie’s since the dealer suggested it. It has become the natural thing to do. I wouldn’t think of going any place else. 11/21/02 Princeton I use Ernie’s exclusively. Easy to get to, good service, fair prices, fine employees. Thank you. 11/20/02 Spencer I recently sold my car and the person who bought it said: "The car looks like new, no scratches on the paint." I just answer: Use Ernie’s Auto Wash to keep it like new. 11/19/02 Berlin Keep up the great work! 11/16/02 Millbury My car always looks great after an Ernie’s car wash.
10/23/02 Oxford I have been to the new Auburn car wash twice and have to say the touchless wash is great! Much better than the competitors with non-touchless. 10/5/02 Worcester You did a great job. 10/4/02 Millbury I always get a great car wash! 9/9/02 E-mail My new car was scratched in another car wash. After that, I tried Ernie’s and since one year ago, I just go to Ernie’s. It’s the best place around! 9/5/02 North Brookfield I love Ernie’s. They always take very good care of me at the Spencer location. 9/5/02 Worcester No comment except that you are the best! 8/20/02 Spencer The spencer location went over and above when we came in with paint on the side of our car. Thank you very much. 7/28/02 Worcester What a great wash! Every time I go through it is perfect. I recommend this car wash to all of my friends! Thanks for getting it right! 7/22/02 Worcester Your car wash is cool because you get to stay in the car. It’s like an amusement park ride! 7/17/02 Holden Great car wash. It is the only car wash that I let my truck go through. 7/13/02 Worcester Your car wash is a great invention. My car is not touched therefore I do not get any scratches on my new vehicle. Thanks again. See you soon. 7/9/02 Rochdale Very happy with the staff. Wash was worth the money. Car came out very clean. 7/9/02 Rochdale Went to your Auburn location for the first time. I loved the great friendly staff and the service I received was “spotless.” I will be back! 7/9/02 Spencer I always use Ernie’s. You are the best. 7/6/02 Worcester Best car wash around. 6/15/02 Auburn So glad you’re now open [in Auburn]. I’ve been anxiously awaiting! 6/21/02 Worcester I use the Grove St. wash about once a week. The coupons are cool too. 6/15/02 South Hadley Use you all the time. You’re right across the street from where I work and I always drive away happy. 5/20/02 East Brookfield Ernie’s is the best! 5/11/02 Worcester I like the touch-free system of car wash as it does not harm the car. 4/24/02 Worcester You did a great job. 4/23/02 Worcester Ernie’s is the only car wash I trust with my brand new vehicle. I am always assured of a clean car with no concern for swirl marks unlike other car washes. 4/19/02 Holliston You have such wonderful people working for Ernie’s...Nice, courteous, helpful Management. Can’t wait for your Auburn location to open up. 4/19/02 Charlton We love your car wash and we will not wash our car any place else. 4/6/02 Barre I love the convenience of Ernie’s. My car is spotless is no time at all. 3/22/02 Holden I’ve tried other auto washes, but they really don’t do as good a job as I get at Ernie’s. Though I may wander from time to time, I keep coming back to Ernie’s where I can count on the wash to be done right! Thank You! 3/14/02 Worcester Ernie’s is the best car wash and I never get any scratches like I used to from other car washes. 3/13/02 Spencer We are so very lucky to have Ernie’s Car Wash in our hometown of Spencer! Your staff there is always most courteous, as they are most dedicated to their customers. I’ve never seen such hard workers, even in the worst of weather conditions! 3/13/02 Worcester I love your self serve bays. Whether I just need a rinsing or a full wash they are a great addition to any community. 3/9/02 Spencer I tried a Shell drive-thru in Hudson. Big mistake. Was not a touchless system like yours. Never again going there. 2/27/02 Rochdale We can’t wait for you to open in Auburn! 2/23/02 Oxford Rush the Auburn site. 2/16/02 Worcester Best car wash in town hands-down. 2/15/02 Oxford So glad you have obtained the Auburn site. It will make visits so much easier. 2/14/02 Oxford Glad to hear you are coming to Auburn since I live in Oxford. 2/8/02 North Brookfield Thank you for standing up to your wash guarantee. 2/4/02 Rochdale We will be looking forward to the full opening in Auburn. 2/3/02 Worcester I think your web site is very cool...lots of good and informative stuff. Keep up the good work! 2/3/02 Douglas Ernie’s is the only car wash I trust with my car! 2/1/02 Spencer Thanks for being here! 1/29/02 Spencer I love the touch free care of the car wash.
1/26/02 Worcester I love this car wash. The people there are always so professional and pleasant. 1/25/02 Auburn Glad you are opening up in Auburn. 1/14/02 Worcester Keep up the clean work. 1/13/02 East Brookfield I do not have time to go through the hassle of washing my car myself. Why drag out all that stuff? It is a lot easier going to Ernie’s. Thanks for being there! 1/9/02 Oxford So glad you acquired the Auburn site. I can’t wait as I live in Oxford and it will make it so much more accessible! 1/8/02 Worcester Thank you so much for your response to my inquiry. The gesture confirms just how customer oriented Ernie’s Car Wash is. 12/27/01 Spencer Best wash around. 12/22/01 Worcester We love your car wash! It keeps our VW looking shiny and new. 12/19/01 Oxford I am looking forward to your move into Auburn. I am convinced that your car wash is the only one to use to avoid any paint damage. A few years ago, I purchased a new black car in the middle of winter. I took it to a car wash with cloth brushes and it permanently scratched both sides, front to back, with swirls visible. There must have been fine dirt embedded in the cloth. I had to take my car to an auto body shop for repairs. Your Touchless system is the only way to go! 12/12/01 Worcester I’ve been using your services for years and have always been satisfied. Keep up the good work! 11/25/01 Worcester I love your car wash. I am loyal and do not wash my car anywhere else! 11/22/01 Jefferson Always does a nice job. 10/26/01 Sutton I’m happy to see the self-serve bays now accept plastic payment. Just one more convenience offered by Ernie’s. 10/23/01 Millbury Best car wash around! 10/20/01 Worcester We love Ernie’s! 10/19/01 Millbury You offer a great car wash. The touch free is a real paint saver. 10/9/01 Rutland I have always been satisfied with the quality of work and service at your Grove Street location. 10/9/01 Worcester Best car wash, and most fun to ride through! 10/8/01 Spencer Spotless car wash, holds up to its name. You have got the best car wash around. 10/8/01 Holden Spent a fortune on a Tahoe. Took it to the dealer for a wash. It was winter - it wasn’t touchless. Scratches (not swirls) all over it. Ice can scratch, too! Now it’s Ernie’s - never any place else. 10/2/01 Spencer You guys are awesome! 10/1/01 Worcester You guys do a great job all the time. Thanks. 10/1/01 Spencer Great wash every time I go! 9/9/01 Worcester Best car wash in the city! 9/3/01 Spencer I love the convenience of the quick car wash! 9/3/01 Ashford Went yesterday (as we were in the area) and we will be making a return visit today to wash another vehicle. A wonderful job, very pleasant employees, clean, easy to get in and out. THANK YOU! 8/28/01 Worcester Good, courteous service. Always leave with a shining car. 8/23/01 Barre I think that your car wash is super! 8/20/01 Worcester What can I say? Ernie’s is the best! Makes a 13 year old car shine like new! 8/18/01 East Brookfield Excellent Service at the Spencer Ernie’s. 8/16/01 Princeton You have an excellent facility. Your workers, most recently, I feel are the best. Courteous...and helpful to women who tend to get nervous at businesses like yours! Thanks. 8/11/01 Spencer I am impressed with how courteous the car wash “guys” present themselves! I truly appreciate giving my $$ to a place that demonstrates respect for their customers...no matter how small a purchase. 8/9/01 Auburn Your car wash is awesome. 8/8/01 Worcester I love your car wash! 8/6/01 Worcester I use your car wash all the time...you do a great job! 7/27/01 North Grafton I used to wash my car by hand, since other car washes never seemed to do a thorough job. I was worried about scratching, but I haven’t needed to do that since I started going to Ernie’s. Keep up the good work! 5/26/01 Webster Your employees are always very courteous. 5/1/01 Worcester I own a 1994 Ford Explorer which can’t be told from new. I get compliments all the time. I tell people it’s because of your awesome car wash.
4/28/01 Brussels, Belgium I found your web site very interesting. I have a soft cloth tunnel in Brussels and I do agree with you on the fact that cloth can still make some scratches for us. 4/14/01 Leicester It’s good to see touch-free car washes, since the others have scratched our vehicles in the past. 4/7/01 Spencer We are so very lucky to have an Ernie’s Touchless Car Wash in our town! You people are truly the best! You always receive courteous and prompt service whenever you go to Ernie’s. Keep up the fantastic work! 3/13/01 Worcester Well, I must say that Ernie’s has the best vacuums in the city. Also, If the auto-wash is crammed with cars, that “do it yourself” washing is great. I prefer Ernie’s Car Wash over any other. 3/4/01 Worcester I have tried the other car wash in the area and found yours is by far better. 2/22/01 Fairfield, CT Love your web site and your car washes which I visit when I do business in your area. 2/20/01 Shrewsbury Your company does a great job—thank you. 2/14/01 Uxbridge Ernie’s Car Wash is, I feel, the best car wash in the city. It’s always fast, economical and definitely efficient. 1/25/01 Holden Your car wash is great! 1/11/01 Marlboro I think that Ernie’s is the best around! Far better than [car wash name removed]! 1/11/01 East Brookfield We have been customers for many years and are happy that you are in this area. 1/11/01 Leicester I would just like to inform you that I visit your car wash at least once a week and I think that your employees do a wonderful job at not only cleaning cars, but also interacting with their customers. Keep up the great work guys and I will continue to come back! 1/11/01 Millbury So far the polls have been right. Ernie’s is the best car wash I’ve found. 12/14/00 Worcester Late afternoon on Saturday I brought my car to your car wash. A flock of birds had substantially soiled the vehicle. The two men working the automatic wash station went above and beyond their ordinary effort to clean the car. Their effort made a big difference in saving the paint on the car. Their quality of work is to be commended. Thank you. 12/2/00 Worcester Just a big thank you for your excellent service and 100% customer satisfaction. 11/25/00 Worcester One of the many reasons I keep coming back is that the brake dust on my wheels gets so thick I have problems cleaning them when I wash my car by myself. When I go through your car wash they come out incredibly clean. Thanks! 11/3/00 Spencer I am a regular customer at the Spencer location. I just wanted to tell you how great your wash is. Before trying the wash, I tried washes all over the Worcester County and was not satisfied until I moved to Spencer and tried the wash. I’ve lived here in Spencer eight years and have been going there ever since. The wash is the best. 10/20/00 Shrewsbury Been using Ernie’s for years! Absolutely love the service. 10/17/00 Spencer I have lived in Spencer for eight years now and have found your car wash to be excellent. Thanks for serving the Spencer community. 10/16/00 Worcester My car comes out spotless every time in the automatic wash. Thanks for the great service, the staff is friendly and knowledgeable. 10/4/00 Spencer You have a great location that’s convenient for our entire family. We can always expect a great car wash at Ernie’s. 10/4/00 Worcester Just love that touchless system! 10/4/00 Worcester Great service, keep it up! 10/2/00 Wilbraham I wish you could have many more locations! I live in Western Mass but work in Chelmsford so I still make sure I swing by to get my car washed. I was from Grafton originally, and that’s how I heard of you. 10/2/00 Worcester I was just in to Ernie’s on Grove Street last Thursday for a Super Wash. I’m always impressed with the courteous service extended by your workers. 9/9/00 Lincoln, RI Had my first car wash there last week. Excellent job, nice people. 9/1/00 Worcester Whenever I get my car washed, I go to Ernie’s. I don’t have to worry about my car being damaged. 8/15/00 Millbury Great car wash and service! 8/11/00 Worcester Keep up the good work and I will always be a customer. It’s nice to still be able to experience good customer service. That’s not easy to find, no matter how much money you spend. 8/9/00 Millbury I always get a great car wash at Ernie’s. 8/8/00 East Corinth, VT You’re probably wondering why someone from Vermont is writing. I grew up in Massachusetts and my dad still lives there. He always goes to your car wash. Swears by it. And when I’m down visiting, I always visit too. This past weekend I was down and saw that you had a web site, so here I am! My dad is your best customer. He used to live up by St. V’s and your place on Millbury St. was very convenient. Now he lives up by the airport and there are several places closer. But he still drives over to your location...to him there is no other. Thanks and hope you have a great day! 8/4/00 Worcester Great Car Wash! 7/29/00 Worcester Your car washes are the best. I cannot remember ever using any other place to wash both my hubby’s and my car. Keep up the good work! 7/28/00 Worcester I always wash my car at Ernie’s because your touch-free system is awesome. Thank you. 7/20/00 Sutton I have a Jeep and I will only have my car washed at Ernie’s. Great job and shine! 7/19/00 Millbury Just keep up the good work. You guys have the best car wash around! 7/18/00 Worcester You’re doing a good job. I feel safe bringing my car to your place. 7/18/00 Sutton I love Ernie’s Car Washes! 7/13/00 Worcester I get my car washed at least once a week at Ernie’s, and my car is now almost eight years old and still looks as good as new! 6/25/00 Leicester Ernie’s is the best car wash around. You have very friendly service and the employees are always willing to help a customer in need. Thanks for the great experience and I look forward to supplying you with business in the future. 6/22/00 Worcester I would not think of going anywhere else! 6/12/00 Webster I love that nothing will touch my car, so nothing can harm my car. 6/12/00 Shrewsbury The only car wash I’ll take me car to. Fast, friendly and reliable on every visit. Love Ernie’s! 5/25/00 Worcester You are the best in town! Keep up the great work. 4/23/00 Auburn I agree! Your car wash is the best. I avoid taking my BMW to any other car wash and plan my car washes to enable me to get to Ernie’s. Keep up the great service! 3/31/00 Rutland Ernie’s has done an exceptional job in washing our two vehicles. Keep up the good work! 3/29/00 Holden I think Ernie’s is the best! 3/27/00 Worcester I was very pleased that you have a web site where I was able to find out more about your process. I just bought a new car and want to make sure that I keep the finish as nice as possible for as long as possible. The coupons are great too! 3/19/00 Shrewsbury The best car wash—ever! 3/13/00 Cherry Valley I just washed my truck tonight and I went through the touch-free bay and I loved it. 2/26/00 Brookfield Wonderful car wash. I have my first car and I always take it to Ernie’s for its wash! 2/26/00 Brookfield Good job on all the car washes! Keep up the good work! 2/26/00 Worcester I have a new car and I love to bring it to Ernie’s to watch the transformation from filthy to sparkling clean! 2/26/00 Brookfield Great car wash! Always cleans my car perfectly! 2/26/00 Boylston I live right on a major route and my car is always getting filthy from the cars going by and the plows when it snows. I just want to say that when I take my car through your car wash, it makes it look brand new. Thanks for a wonderful car wash! 2/13/00 Worcester Today I had my first visit to Ernie’s and I was amazed. I couldn’t believe for such a low price I got an amazing wash. I had heard that the car wash was touch-free but I didn’t believe it and I was truly amazed at how well my car looked when I exited the wash ramp. Thank you again everyone at Ernie’s. 2/9/00 Spencer I enjoy using your Spencer facility. When I do I am serviced by an attendant [who is] very customer friendly and courteous, a real asset to your company. 2/8/00 Spencer Best car wash around bar none! 2/8/00 South Grafton Keep up the good work. 1/30/00 Auburn I was quite impressed when I first used Ernie’s Touch-Free car wash and would not go anywhere else. 1/25/00 Sterling Not only am I amazed that you have a web site, but I am shocked to get a PERSONALIZED reply, not just a form letter. Great customer service...with this attitude your business will continue to grow. 1/24/00 Shrewsbury My favorite car wash! 1/23/00 Worcester You guys are the best place to wash cars. You are the only place I go. 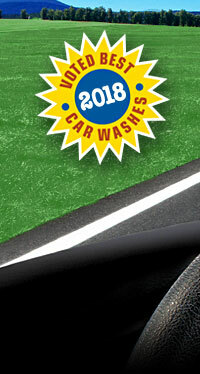 1/21/00 Worcester I have been using your car wash for several years and have gotten three to four free washes because I collected ten receipts for past car washes. I think that is a great deal. Keep the great services because nobody does it better! Thank you! 1/14/00 Millbury I visit quite frequently with my new SUV...it’s the best! 1/14/00 Spencer My wife and I use Ernie’s all the time to keep our vehicle looking new. You do a great job! 1/8/00 Worcester Great car wash.
1/8/00 Worcester Ernie’s is the best. 12/16/99 Brookfield Great car wash! 11/16/99 Millbury The best car wash in all of Mass! 10/18/99 Brookfield You have a wonderful car wash! 10/12/99 Worcester Best car wash in Worcester! 2/18/99 Worcester You definitely have the best automatic car wash I have ever been to. I have a nice car and I go the auto show every year so, as you can guess, cars are important to me. Ernie’s is the only car wash that I feel comfortable bringing my car to. I know that I will get a great wash and there is absolutely no way my car will be scratched. Keep up the good work. You obviously take much pride in your business and it really shows.